On our way to the big city of Bogota, we stop in a little town called,The Salt Cathedral of Zipaquirá (Spanish: Catedral de Sal de Zipaquirá) It is an underground Roman Catholic church built within the tunnels of a salt mine, 200 meters underground. The temple at the bottom has three sections, representing the birth, life and death of Jesus. It was awesome. We heard from a lot of people that they didn’t really care for Bogota. We were told just about every day by someone to “be careful, it is dangerous”. We are not usually parcel to big cities, but we really enjoyed this city on so many levels. First of all, we met some amazing people. Joan and Luz who were in charge of the wonderful Hostel we stayed at, called Explora. 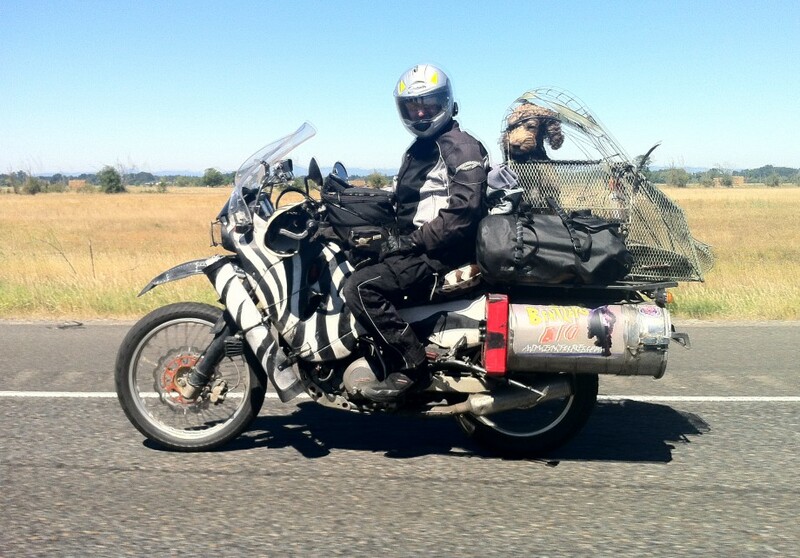 They did not allow dogs, but when they saw Bentley they couldn´t resist and snuck him in. We also met Salvador and Paulo, who live in Bogota. Salvador saw us from his apartment window and being a KTM rider and a motorcycle adventure enthusiast he did some research and found us on a blog through ADVrider and sent us an email wanting to meet us. Awesome couple and have turned out to be really great friends. We were able to really enjoy the amazing “traditional foods” from this country and super cheap. Anyone going to Bogota, try Mama Lupe’s, they served incredible soup called Ajiaco which is traditional from Bogota and the best Arroz con Leche ever! (I can hear my friend, Paulo laughing right now because all of our conversations seemed to have Mama Lupe in it). This city has some of the most incredible museums and the Museo de Oro (Museum of Gold) is the most beautiful one I have ever been too. We took the tram up (and hiked back down) to Monserrate, a mountain that dominates the city where there is a church with a shrine that was built in the 17th century. It was awesome and it overlooked this massive city. We took a wonderful morning hike with Joan from Explora Hostel and after, she took us on a private tour of one of the fruit stands and showed us all the beautiful exoctic fruits of Colombia. Salvador, Jeffrey, Scott and I went on a ride to the only race track in Colombia to see a famous Motogp rider, Jorge Lorenzo. He was there to release the new Yamaha motorcycle. We got there pretty early and the only entertainment before his arrival was Moped races (I am serious) or on another track there were kids racing go karts, which had our interest a lot more! We got bored and decided to leave on a beautiful ride instead and of course, we passed Jorge as we were exiting the gate! 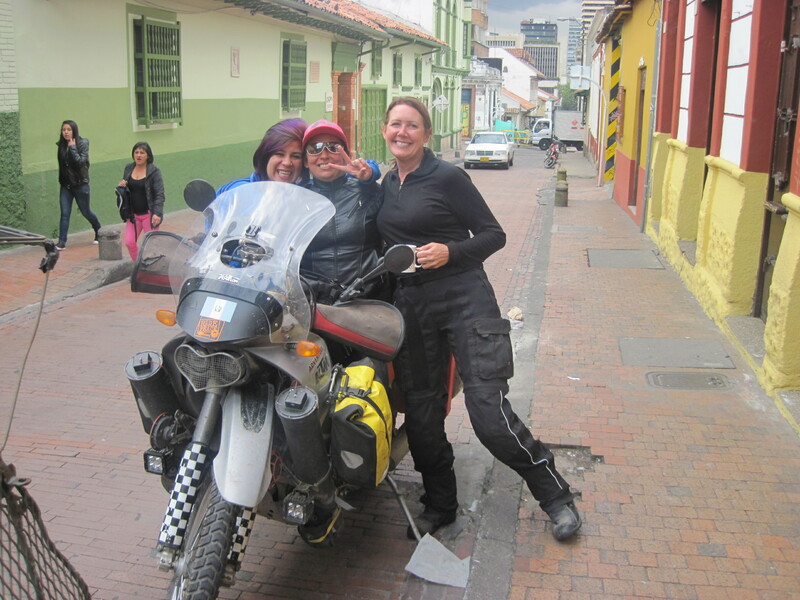 We left on our final ride out of Bogota with Salvador and Juan as they rode with us all the way to Mariquita. It was an amazing ending to our time in that amazing city! We got a lovely invitation by Joan from Hostel Explorer to stay with her in her vacation home, halfway to Medellin, which was our next place to visit.